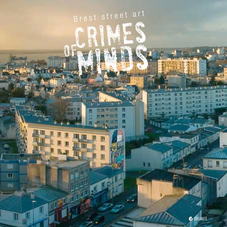 Throughout 2011 & 2012, a selection of emerging and confirmed contemporary artists came from various countries to paint about twenty walls in the town of Brest. The point here was to deteriorate but, instead, to embellish, emphasise a location, give it an expression, a life and make it available to all. 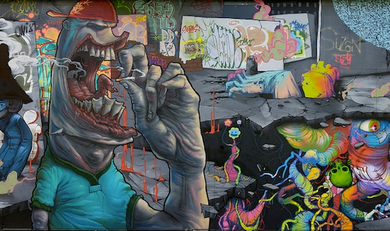 In the long run, these works remained to embellish the city, with a sense of exchange and sharing. And little by little, an open gallery been set up, in the manner of an «urban museum». With each session, photographers have captured the work in progress thanks to their sensibility, their interpretation and their creative expression. The artists been also filmed and interviewed during the development of the project. The objective is to create a little film which would push back the boundaries of conventional documentary. At the same time, several small videos or «trailers» been broadcasted on the Web. These short videos show a city which looks younger, which is embellished. 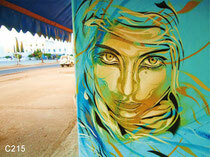 A city which opens its borders and looks at itself in different way, with originality. In addition, the information and the images collected during the Crimes of Minds project been gathered for the development of a book, an unique and original book, which would bear the same name as the project. Like a stroll, this work would give an insight of the city through various artistic and cosmopolitan expressions. It would include the pictures of the work in progress, the development of paintings and their location, a glance at these artists and their approach. The book would thus offer a glimpse of the city from a different angle. A map of Brest will be placed at the end of the book. This map will include the location of each work, (a location carried over in the chapters corresponding to the artist), like graphic nuggets scattered all over the city. The inhabitant or the visitor will be able to explore the city, to discover or rediscover it… Like a treasure hunt in the heart of a space which would have become an art gallery open to all, making art accessible on a day to day basis.